Welcome to Edison Auto Sales Route 1 store. We have a committed staff with many years of experience satisfying our customers’ needs in the Edison area. We have a huge selection of cars and SUV’s at affordable prices that will fit your budget. From sporty 2-door coupes to full size 15 passenger Vans, we are sure that your next vehicle is on our lot! Please look through our online inventory, check out our SPECIALS page and feel free to call us with any questions you may have. Fred and Gabe will assist you to find the right preowned vehicle at the right price. Our in-house BUY HERE PAY HERE auto finance program makes it quick and easy to get a car loan! No outside lending store. No banks, no 5 to 7 year long term loans like the new car stores offer. We do our own car financing for as little as 1 year to 4 year terms. Good credit? Bad Credit? No Credit? Bankruptcy? Repo? No problem. We have helped thousands of hard working customers get approved for a quality used car or truck.Edison Auto Sales Route 1 is proud to be Central New Jersey’s largest BUY HERE PAY HERE used car dealership. No pressure, just good people and great cars and trucks. Free Warranty with every vehicle makes the decision that much easier when buying from us. That, coupled with the best values in central NJ makes Edison Auto Sales Route 1 your first and last stop toward buying that quality pre-owned vehicle that you are looking for! From BMW to Ford, Honda and Toyota, we have the right vehicle for you. 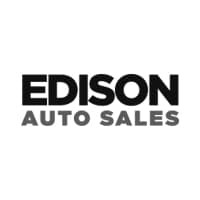 With so many different brands and so many quality preowned vehicles in-stock, Edison Auto Sales is ready to help you! With our LOW DOWN PAYMENT and super low weekly payment plans, you can be driving off the lot today with your new car. The in-house financing for our BUY HERE PAY HERE program has helped thousands of our customers come from all over the region. New York, New Jersey and PA. We are NJ’s premier BHPH used car dealer! We know what our customers are looking for. Reliable automobile with low, affordable car payment. We strive for high quality at low costs for our customers. That is why our customers come back for their next car, time and time again. The address is 195 US Highway 1 South. Located directly on Route 1 south where Woodbridge Ave (RT 514) crosses over Route 1, across the street from the Raceway gas station, we are between the Nissan and Honda new car dealerships. Si tiene ingresos que son difíciles de probar, o si no cree que calificas para un préstamo de coche, te damos una oportunidad. Podemos ayudarle con un pago bajo Llámenos al (732) 253-74211.